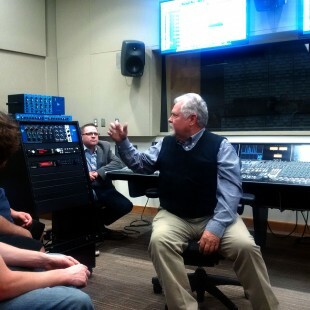 Renowned audio engineer Cliff Mäag visited Salt Lake Community College and shared the finer points of sound design with audio production students. 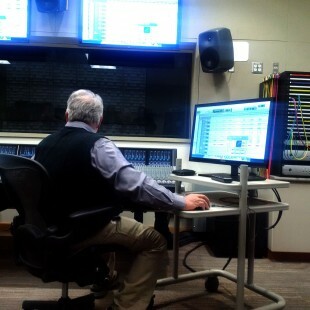 For a more than an hour, Mäag held a special sound clinic and gave a demonstration of his EQ and compression units in the audio production control room at the South City Campus. Mäag has spent more than 35 years in the music industry, recording and engineering albums from a vast array of artists from all genres. Mäag’s engineering can be heard on everything from Marie Osmond to Cheap Trick and beyond. After so many years behind a mixing console, Mäag transitioned into designing high-end studio EQs and compressors. His intuition and ears finely tuned over those years have made him an authority on the subject of sound. His small line of analog outboard gear anchored in a sea of digital has gained a loyal niche following. Some of the most in-demand recording engineers proudly endorse his product. The small group of students in attendance were exposed to certain applications and techniques, in addition to fine tuning their ears by knowing what to listen for in a mix. The visit gave Mäag an opportunity to get acquainted with the facilities inside the Center for Arts and Media.